We also know that your house is the one that you love the most. That’s why the Primeau specialists, tinsmiths by trade, take into account many criteria before suggesting a solution for your property. Landscape design and slope, water drainage, roof state and inclination, tree coverage and proper ventilation are just a few factors that have to be gauged before proceeding with an installation. 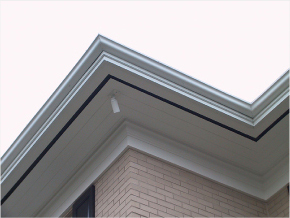 We offer a wide range of rain gutter solutions meeting all the needs to ensure your house is well protected and preserves its market value. Hi-Bak® and J-Style® eavestroughs, leaf screens, Primair® soffits and fascias are just a few of the products we offer, all with a proven track record. More than that, we are one of very few manufacturers who produce Galvalume steel eavestroughs, that never crack, resist stains, flaking, corrosion, are not-flammable and are available in many colors. Tinsmiths by trade, the Primeau family operates in the business of construction and renovation for more than 60 years. Primeau’s long record proves that it stands by its promises by using high quality products and qualified, competent workers. With free estimation, competent advice and guidance, professional and rapid installation, quality products and a reputable warranty policy, Primeau Métal Inc. has all it takes tu support all the trust that was invested in its products and services during the last 60 years. 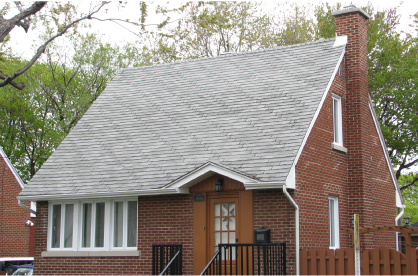 The Primeau products are subject to quality control for maximum durability and aesthetic appeal. Both consumers and professionals prefer our products, as their quality exceeds industry standards and always meet the highest expectations.